I often get amazed and concerned looks from patients when I suggest that they do bleach baths for their eczema, but done correctly they are very safe and can be effective for some types of eczema. Some types of eczema are driven by staph bacteria that live on the skin. Bleach baths work to decrease the number of bacteria on the skin and can therefore reduce the severity of eczema. First a word on safety. Remember that bleach is simply chlorine… at the strengths that we recommend, a bleach bath is simply like a double strength chlorine swimming pool. Just like a swimming pool, it is not a problem if small amounts are ingested or get into eyes. My typical recipe for a bleach bath is one quarter cup of bleach into a full bathtub. I usually have patients soak for 10 minutes one to two times per week. 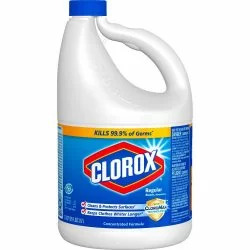 Remember to use simple chlorine bleach and not color-safe or scented bleaches. Schedule an appointment with one of our board-certified dermatologists today to see if bleach baths could help with your eczema!